A complete overview of all the building changes that are coming with Season 3. On this page you'll find all the building improvement changes coming with V.3.0.0 of Fortnite: Battle Royale and Save the World. 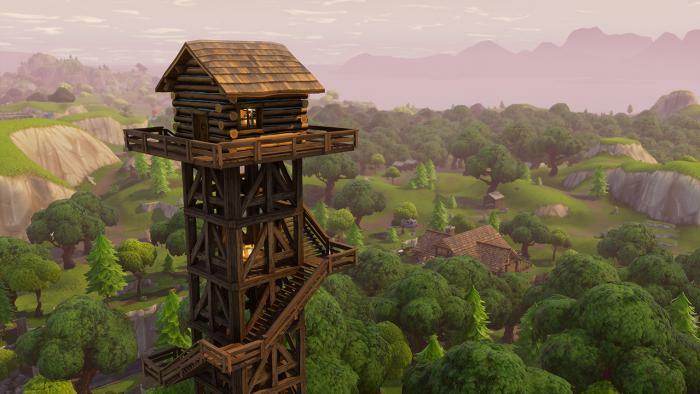 With Patch V.3.0.0 Epic has taken the opportunity to undertake a little fine-tuning of Fortnite: Battle Royale’s building mechanics and streamline a number of areas players weren’t particularly happy with. We expect the new features to really improve the way building feels - which is great because you're going to be doing an awful lot of it in-game! The changes being added with V.3.0.0 allow players to build faster, more reliably and should positively affect console players too. Everything from placing building pieces faster to auto-swapping materials has been ticked off the to-do list, and hopefully this’ll make it much easier for everyone to get stuck into this side of the game. What’s refreshing as well is that this isn’t going to be the traditional list of buffs and nerfs - what gets given with one hand is often taken with the other. Instead, it’s an entirely positive set of changes for everyone involved. Below we’ve put together a summary of the changes and linked a video showcasing them in action. For more of what’s coming with Season 3, make sure you check out our Season 3 Battle Pass and Hand Cannon guides! Here’s a list of every building change coming with Season 3. This allows you to hold down primary fire and continuously place the selected building piece. You can toggle this on or off in the Game options. Now you’re able to create structures swiftly, it’ll be exceptionally useful for defensively building walls around you or quickly sprinting up ramps while building them at the same time. Turning on “Auto Change Materials” in the game setting will switch to another material when your current supply runs dry. This is more of a quality of life change that’ll make building even easier and less frustrating. Currently, smaller objects like furniture and shrubs are destroyed when you build over them, but trees, rocks and vehicles can still get in the way. The system has changed to allow you to place structures right through large objects. Switching between building pieces on console has improved immensely. The network code has changed so cycling through building pieces no longer requires a round trip to Epic’s servers.